For immediate help, call the National Suicide Prevention Lifeline at 800-273-TALK (8255) / Red Nacional de Prevencion del Suicidio at 888-628-9454, the Philadelphia 24-Hour Suicide Crisis and Intervention line at 215-686-4420, or 911. Or you can chat online with someone from the National Suicide Prevention Lifeline. You can also go immediately to the nearest hospital emergency room or your local crisis response center. For general information about available support and services, please contact 888-545-2600, available 24/7. The Porch Light Program is a groundbreaking public art approach to achieving health and wellness in Philadelphia. Explore this innovative partnership and learn more about our projects across the city. Scroll down to learn more about the Porch Light Program, or click on the links to learn about our murals! Mural team at the dedication. A Healing Home © 2013, City of Philadelphia Mural Arts Program / Ben Volta. 11th Street Family Health Services, 850 North 11th Street. Photo by Steve Weinik. What is the Porch Light Program? 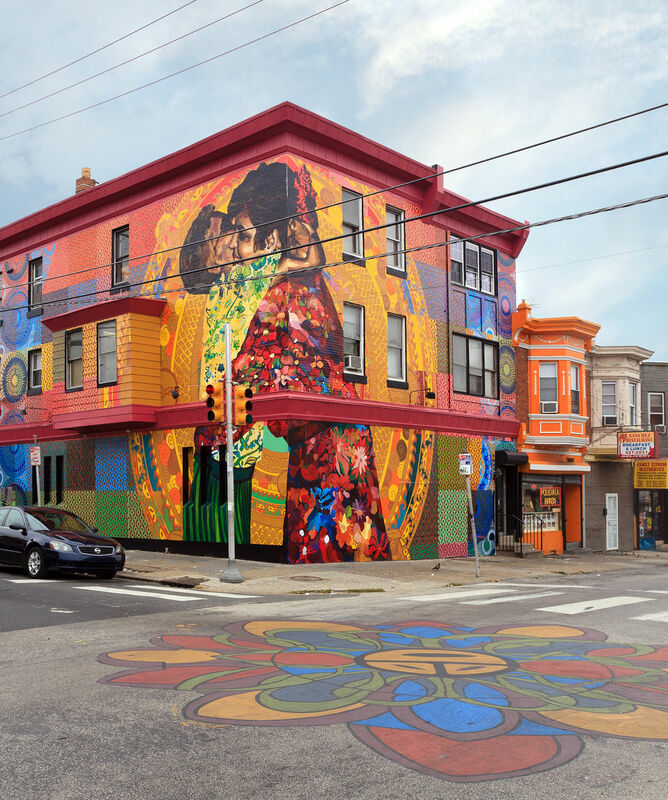 The City of Philadelphia Mural Arts Program and the City of Philadelphia’s Department of Behavioral Health and Intellectual disAbility Services (DBHIDS) are proud to present The Porch Light Program – a groundbreaking public art approach to achieving health and wellness in Philadelphia. A porch light symbolizes warmth and security, a friendly invitation to a safe space within our neighborhoods. Our Porch Light Program works closely with communities, using public art as a vehicle for individual and community healing. We create murals driven by the issues that affect our community: mental health, substance use, faith and spirituality, homelessness, trauma, immigration, war, and community safety and tension. The Porch Light Program builds a team of artists, service providers, program participants, community members, and city-wide stakeholders to collaborate on a transformative public art project. The program works to create positive changes in the community by improving the physical environment, creating opportunities for social connectedness, and developing skills to enhance resilience and recovery. Through this community work, Porch Light promotes empathy while reducing stigma around behavioral health issues. It Has To Be From Here, Forgotten but Unshaken... © 2012, City of Philadelphia Mural Arts Program / Betsy Casañas. 3263 North Front Street. Paint Day for Finding the Light Within. 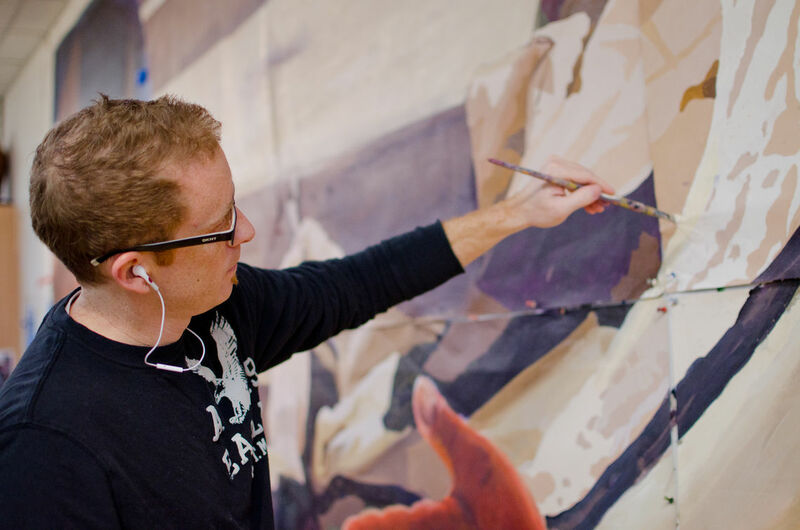 © 2012, City of Philadelphia Mural Arts Program. Photo by Eunice Yu. 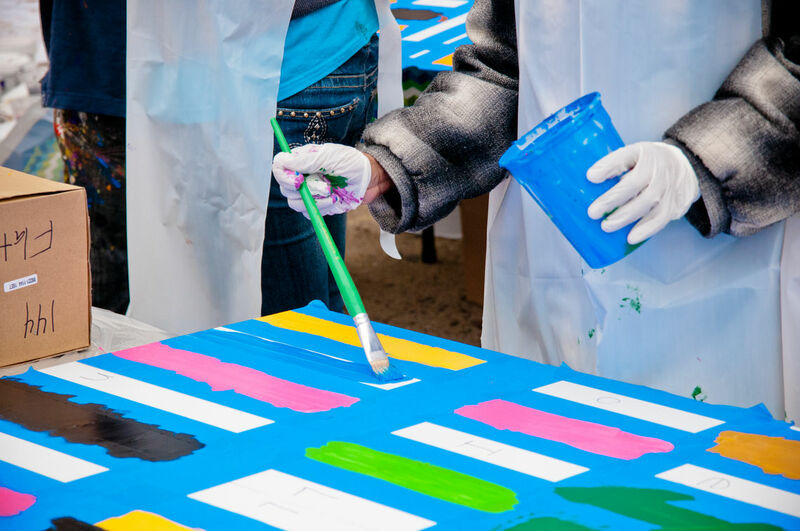 Painting A Healthy City, Project HOME © 2012, City of Philadelphia Mural Arts Program. Photo by Kathryn Poole. 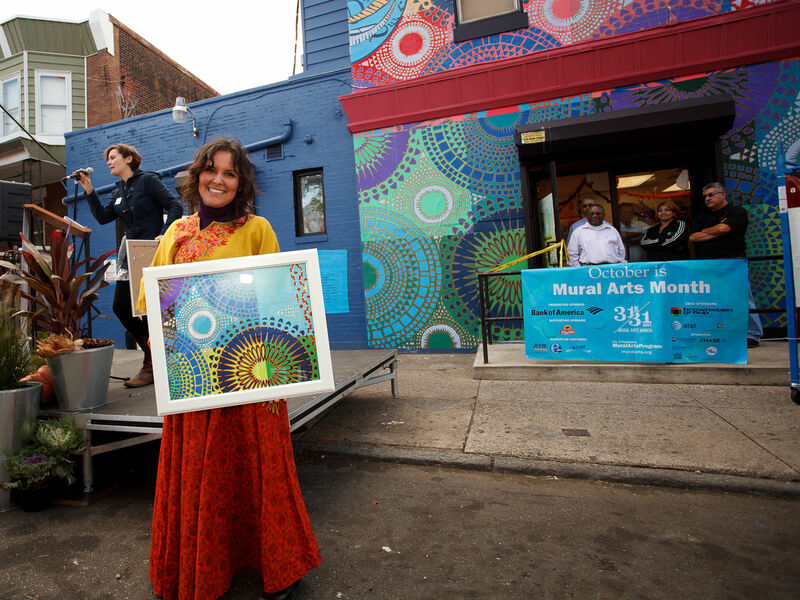 Betsy at dedication, It Has To Be From Here, Forgotten but Unshaken... © 2012, City of Philadelphia Mural Arts Program / Betsy Casañas. 3263 North Front Street. Photo by Steve Weinik. Each Porch Light site is different, reflecting the concerns of the community members involved. We strive to consistently engage individuals receiving services at behavioral health and social service agencies in weekly art workshops. We also make it a priority to engage communities as a whole through paint days, health forums, and community meetings. HOW DOES THE PORCH LIGHT PROGRAM ASSESS ITS IMPACT? The Yale School of Medicine conducted community-based participatory research in three Porch Light communities to assess the program’s impact on individual and community-level health outcomes. The rigorous study tracks program activities and evaluates outcomes through individual interviews, qualitative case studies, community surveys, systematic observations, comparison sites, and archival data. The study quantified Porch Light's impact on distressed neighborhoods, with residents living within one mile of a mural reporting increased trust between neighbors and increases in the aesthetic value and safety of the neighborhood. Results on the individual level were not significant, probably due to the variety of implementation strategies at the various agency sites. Overall, participants in well-implemented programs were more likely to report positive effects from the Porch Light programming. National foundations, health leaders, and universities from across the country are looking at the Porch Light Program as an example of progressive public health promotion. With generous support from our sponsors, we are honing the Porch Light model and repeating our success across Philadelphia. We hope our work will become a national model for an innovative approach to promoting healthy communities. Read our replication manual, Painting a Healthy City, for a more in-depth look at how Porch Light operates. For more information, please contact Porch Light Program Director Laure Biron at laure.biron@muralarts.org or 215-685-0739. Mural team at the dedication. The Color of Your Voice © 2012, City of Philadelphia Mural Arts Program / Keir Johnson and Ernel Martinez. 2417 Ridge Avenue. Photo by Steve Weinik.